Mobile shopping may get a whole new meaning. Buying from a store was always pretty straightforward before the Net. A person would get up and go shopping. No big deal. The commercial Web of course changed all that, at least from a knowledge standpoint. A consumer could buy online, but they also could research online at home and still get up and go to the store, which is still what most people do from a product purchase standpoint. Mobile moved the research part of shopping to be real-time, all the time. It did the same for online purchasing, making it a totally portable activity. But now the market is starting a move toward yet an additional shopping source, the networked car. Back in early 2014, at the annual CES convention in Las Vegas, General Motors and AT&T teamed to present their vision of the car of the future and how commerce could fit in. At the time, it was more of a concept than a reality. The recent announcement by GM that connected Chevrolet’s now can come with an unlimited data plan for $20 a month opens the door to car commerce, the next version of mobile shopping. At the event three years ago, various introductions treated the car as a media-consuming vehicle. For example, Pandora at the time launched in-car advertising in the form of 15- and 30-second spots. Following the same pattern as mobile, advertising was following content to reach the people consuming the content. The key for mobile commerce is that commerce typically follows advertising on a new platform and that is what the car is poised to be, as I wrote about back in 2014 (CES & The Connected Car For Commerce). However, just as in traditional mobile commerce, there’s typically a lag between an announcement and full scale implementation. In this case, the lag was three years. Thanks to smartphones, consumers in cars already could make purchases. However, sending location-based targeted messaging to a person’s smartphone in a car so that they may make a purchase can be challenging, to say the least. Reaching consumers directly through the vehicle could be a different story, and that’s what the new connected Chevy unlimited data program does, converting the car into a Wi-Fi hotspot. Another indicator that car commerce is coming is the added capabilities coming into vehicles. 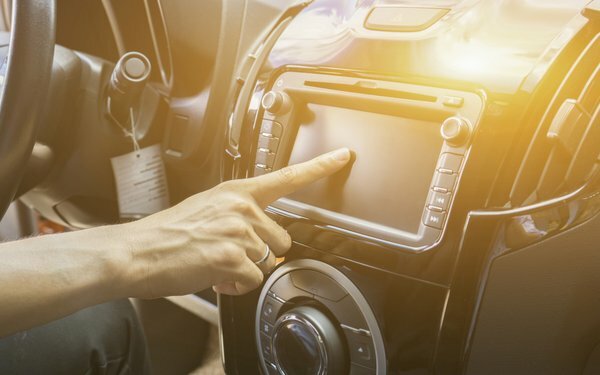 For example, the global in-car entertainment hardware market is on track to reach $36 billion by 2021, up from $28 billion last year, according to a new report form Futuresource Consulting. As ride sharing and car sharing grow in popularity, people are spending less time driving and more time consuming entertainment and media in cars. Commerce is next. Car commerce can include payments for tolls, fuel purchases and parking fees, through voice, gesture and motion control coming, according to the report. Commerce apps in the dashboard were shown at CES three years ago. Ford, Honda and others also have announced connectivity for their cars. The capabilities for connecting directly from inside the car are now coming to market, and, in the case of Chevy with AT&T, all the data someone can use for $20 a month. Once consumers in cars become comfortable using their car networks, the same behaviors that migrated from desktop to mobile are likely to play out. Consumers may still drive to a store to physically get something, but they may buy it from inside their car on the way to the store. At least it still will be called mobile commerce. 2 comments about "Mobile Shopping Meets In-Car Commerce". Virginia Suhr from Lobo & Petrocine, March 8, 2017 at 10:43 a.m. If you think people using cell phones in cars is unsafe, I can't imagine the safety issues of purchasing products while driving a car. Chuck Martin from Chuck Martin replied, March 8, 2017 at 10:52 a.m.
Point well taken, Virginia. The presumption is that much of the new in-car commerce will be done when the person is not actually driving, but time will tell.